Examples, solutions, videos, worksheets,and activities to help Algebra students learn about factoring simple trinomials for a = 1. 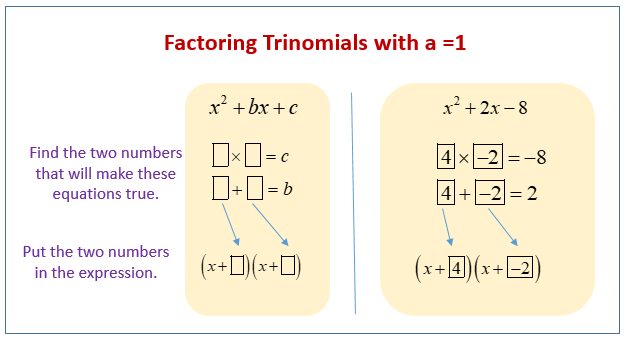 The following diagrams show how to factor trinomials where the leading coefficient is 1 (a = 1). Scroll down the page for more examples and solutions on how to factor trinomials. Factoring trinomials of the form: x2 + bx + c.